You know what has been the hardest thing for me in this new house? Figuring out what in the world to put up on all of these blank walls! 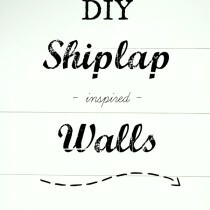 After we put up the shiplap wall treatment in our dining room and living with the space for a while, we decided that our walls should no longer be left blank and boring but we couldn’t quite put our finger on what we wanted. 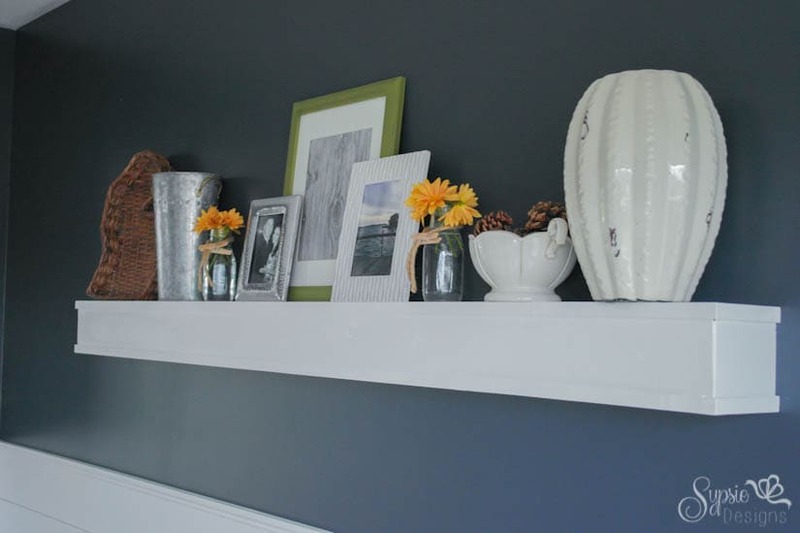 I wanted something other than plain frames, but other than that, I was stuck… enter our solution.. an extremely simple floating shelf! Aka- we don’t have to commit to what we want, we can change it every season, month, daily, or whatever floats our boat. All I used was two 1×6 boards, one 1×4, one 2×4 and a few screws. Sound easy enough? First I cut the two 1×6’s to 60″ (my desired shelf length) and set them aside. 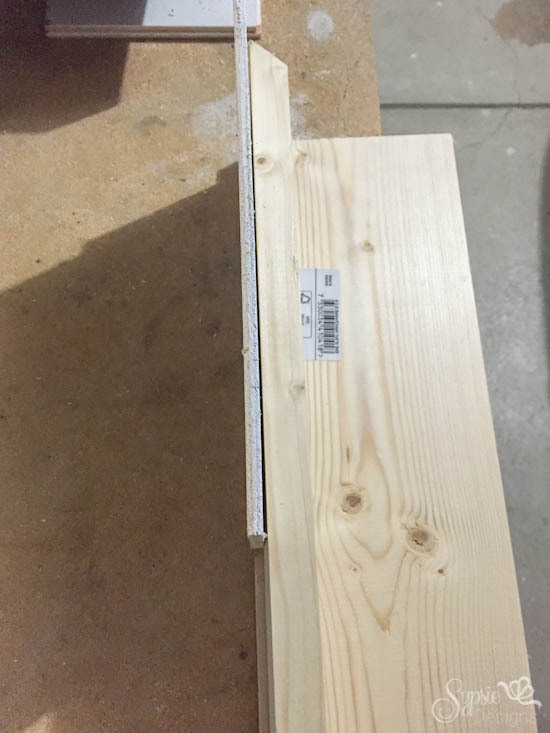 The 1×4 was cut into three pieces- 1 at 59 1/2″ (length of the shelf minus 1/2″) and two at 5 1/4″ (width of shelf minus 1/4″). 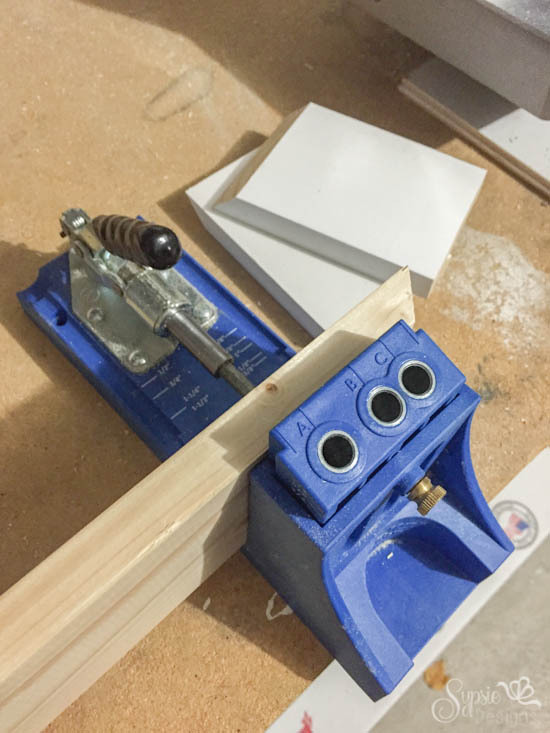 I mitered both corners on the long piece, and one on the short pieces at a 45 deg. angle. The goal is to make a very stretched out “U” shape. Next up was the prep work! 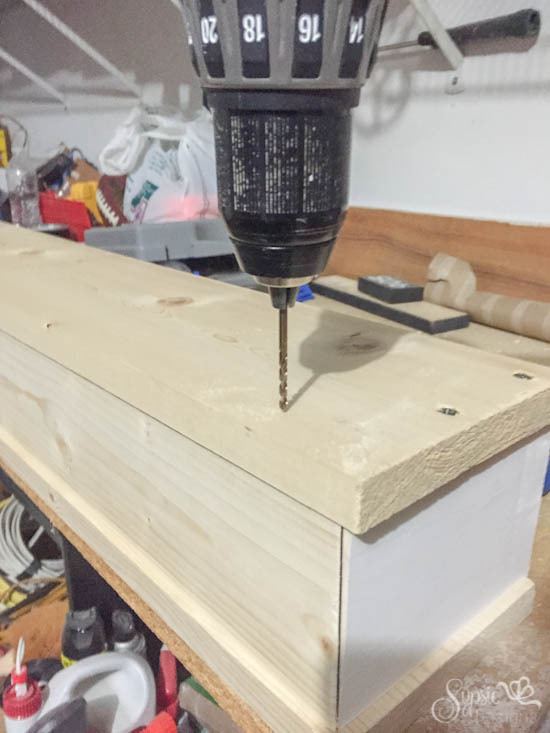 I used my Kregjig to create pocket holes on the inner side of the 1×4’s (about 2 per short piece, and 6 on the long). Assembly time! The front of the shelf is to the left in the picture below, and the back is to the right. The 59 1/2″ 1×4 was placed on one of the 1×6’s and inset 1/4″ from all 3 edges (I used a 1/4″ piece of plywood to measure, but a ruler works too!) and then Kregjigged (is that a word?) into the 1×6. The smaller 1×4’s were added on the ends in the same way! (off set on the sides by 1/4″ but this time flush with the back aka right on this picture). A few coats of spackle (a use what you’ve got move! ), some sanding and a few coats of white paint happened next. Now, to hang it on the wall, we hung the 2×4 by M moving it around 40 times until I was happy (typical, sorry love! ), checking for level, and drilling into the studs. 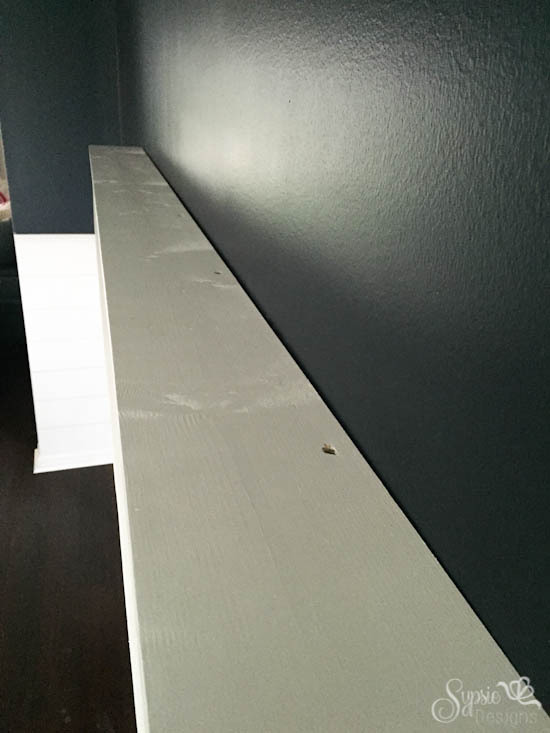 If all of the measurements are correct, the shelf should slip right over the 2×4, and can be drilled into the top to secure it to the wall! We left the screws as is for easy removal if we ever decided to go a different route (shelf is too high to see them anyways! ), but they could be filled, sanded and painted over for a seamless look as well! Easy enough? It’s basically creating a box with one open side (the back) and slipping it onto a 2×4 on the wall. 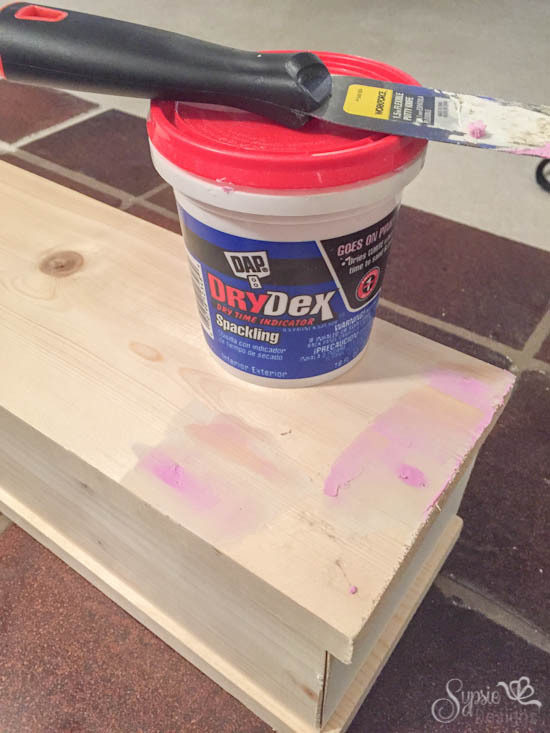 Offsetting the 1×4’s by 1/4″ gives it a little extra dimension, and securing it straight into the wall makes it very strong for all of your dust-collecting-item (does anyone else’s mom call them this?) needs. 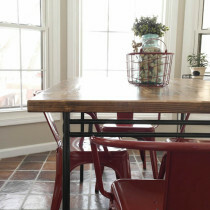 Here’s a little preview of another big update we completed (last November, but who’s counting)- our table! We’ve also since switched out the light fixture, and I can’t wait to share more! 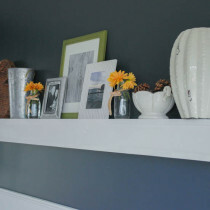 Your floating shelf looks spectacular!!! 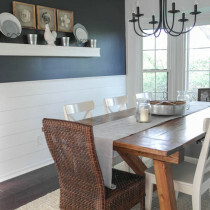 Now your dining room looks finished and fabulous!!! You are too sweet- thank you so much Susan! I love it! It looks gorgeous in your dinig room. Especially against that wall color! Oh my goodness….Love this! Where did you get the Michigan basket from? I need one!!! Thanks! Thank you, Marie! 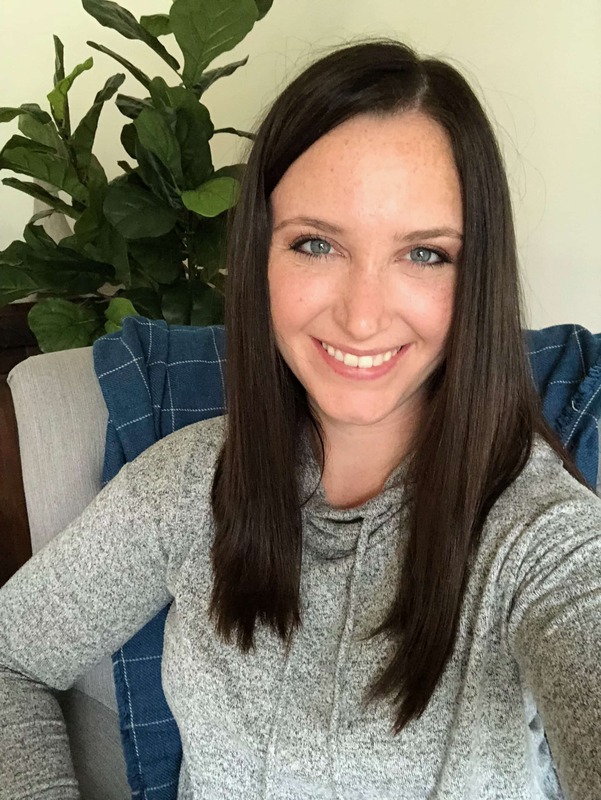 : ) The Michigan basket is from a little boutique in Milford, Michigan. I think I have moved it around to every room in my house at one point or another ha! Thanks so much for stopping by! Very nice! 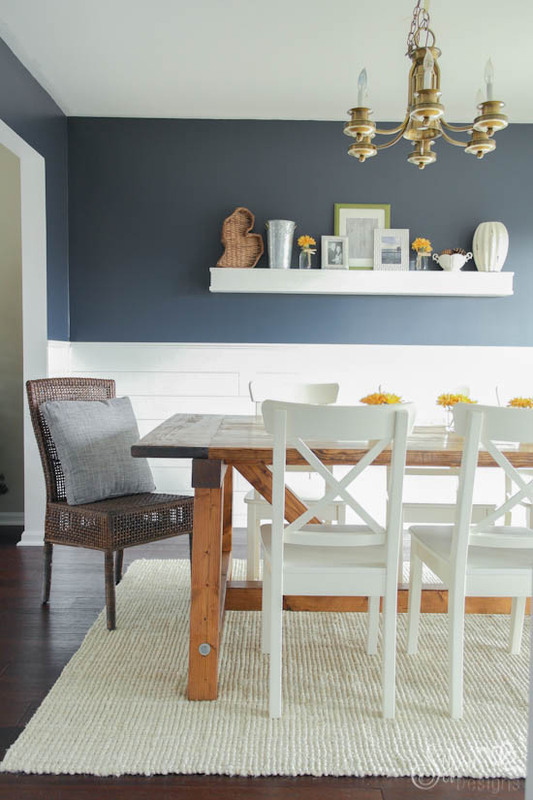 What color and brand is the paint on your dining room walls? 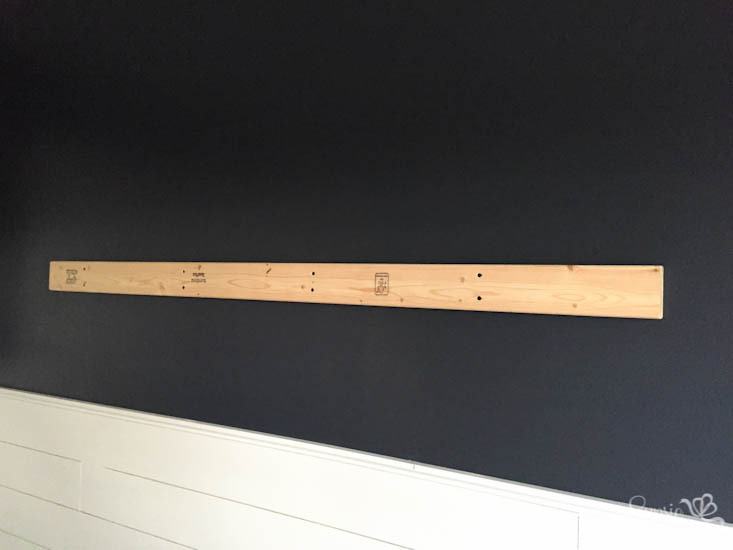 Try French cleat for your next floating shelf.